Yesterday was the best dives I ever had at the dive site Canyon. 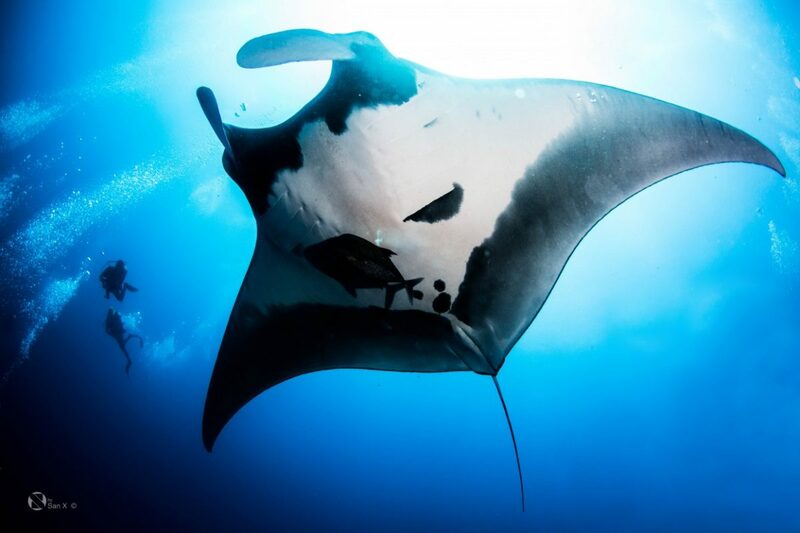 It’s a beautiful dive site where we usually go on the 1st day, where we sometimes see hammerheads and mantas. But yesterday was CRAZY. 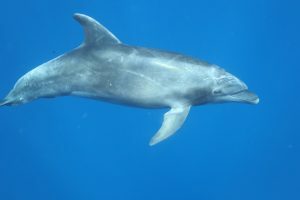 3 out of the 4 dives were were absolutely outstanding, playful dolphins, mantas, and schooling hammerheads 3 times! The best was on the safety stop when a pod of dolphins passed by followed by 10 hammerheads, right under us!! Very happy with the start of the trip, we headed to Cabo Pearce for day 2, dive site meant to be a little quiet from some other boat’s report but we decided to dive it anyway because we know how things change fast out on the Revillagigedo. 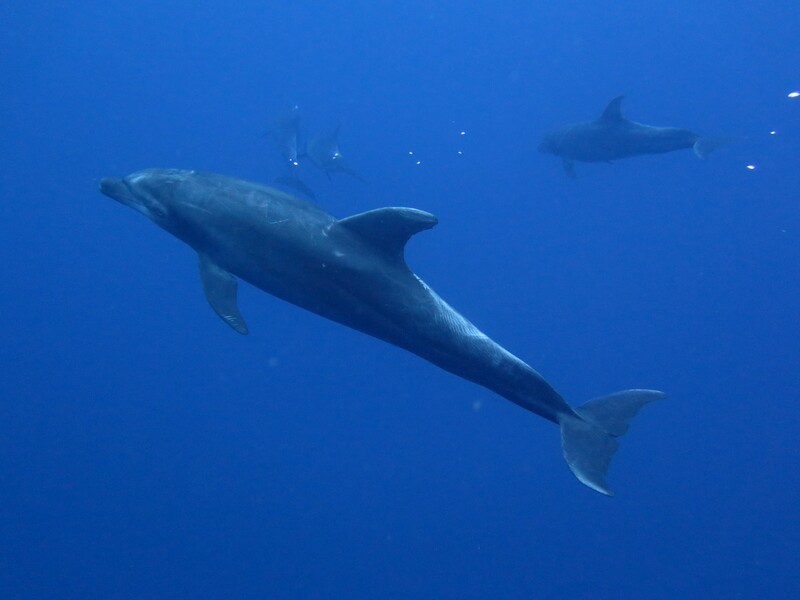 2 dives out the 3, we had pods of bottlenose dolphins, and they played every time… This week is dolphin week! And we still have dives at Roca Partida and at the Boiler coming ahead, this was just a warm up! 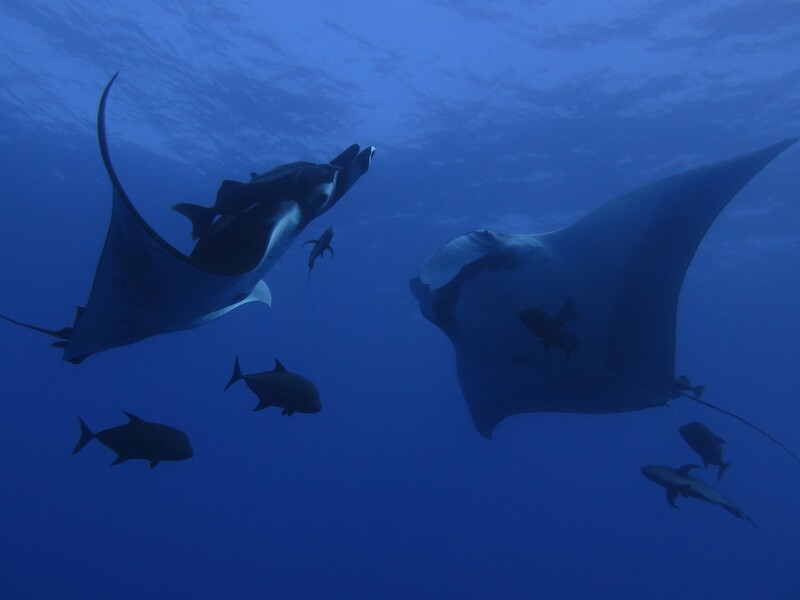 Day 4 was spent at Socorro island’s 2 dive sites – Punta Tosca and Cabo Pearce. There were nice volcanic rock formations but visibility was not the best and there was not much pelagic sightings at Punta Tosca that day. Cabo Pearce was peaceful in one dive and had crazy currents the next dive. Amidst the crazy current we did manage to pause for a while to see a pretty huge silver tip shark circling around so that was really cool! Dinner was really awesome – Chef Luis’s prawn pasta was super yummy! 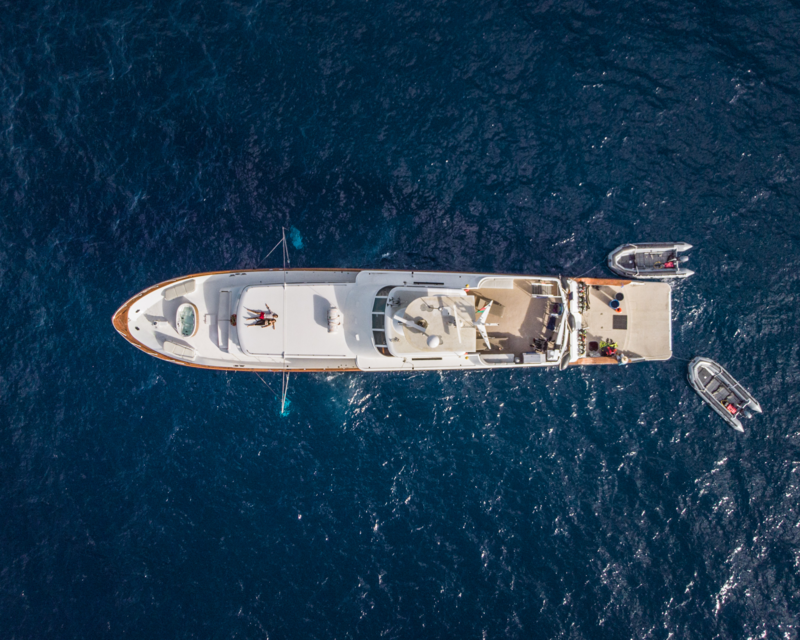 The day ended perfectly with the night snorkel with silky sharks – a true sight to behold! Definitely excited to have experienced that. Day 5 and we are back at San Benedicto’s el boiler dive site! The crew is super cool to suggestions so we headed back to San Benedicto earlier since the divers really like el boiler. 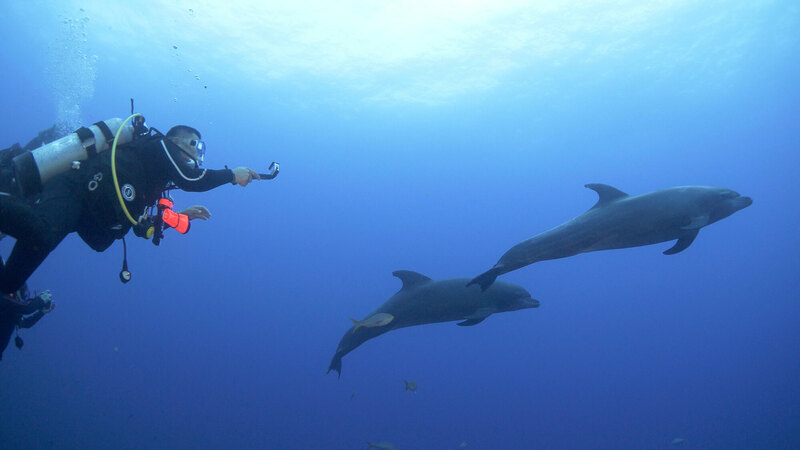 And it did not disappoint – we encountered a playful pod of dolphins on our very first morning dive!